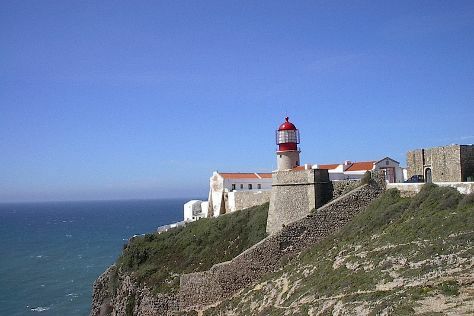 Visit Cabo da Roca and Belém Tower for their historical value. Satisfy your inner culture vulture at Castelo de S. Jorge and Castle of the Moors. Take a break from Lisbon with a short trip to Quinta da Regaleira in Sintra, about 36 minutes away. And it doesn't end there: take in the spiritual surroundings of Jeronimos Monastery, make a trip to Santa Justa Lift, take a stroll through Alfama, and see the interesting displays at National Museum of Ancient Art. To see photos, traveler tips, and more tourist information, go to the Lisbon online trip planner . Toronto, Canada to Lisbon is an approximately 10-hour flight. The time zone difference when traveling from Toronto to Lisbon is 5 hours. Expect a bit warmer weather when traveling from Toronto in September: highs in Lisbon hover around 32°C, while lows dip to 19°C. Finish your sightseeing early on the 24th (Mon) to allow enough time to drive to Albufeira. Discover out-of-the-way places like Praia dos Olhos de Água and Falesia Beach. Centro Historico de Albufeira and Castelo de Silves are good opportunities to explore the local culture. Explore the numerous day-trip ideas around Albufeira: Praia marinha (in Carvoeiro) and Praia Da Rocha (in Praia da Rocha). There's still lots to do: enjoy the sand and surf at Algarve and tour the pleasant surroundings at Praia do Peneco. To see where to stay, traveler tips, reviews, and tourist information, read our Albufeira online vacation planner . You can drive from Lisbon to Albufeira in 2.5 hours. Alternatively, you can take a train; or take a bus. 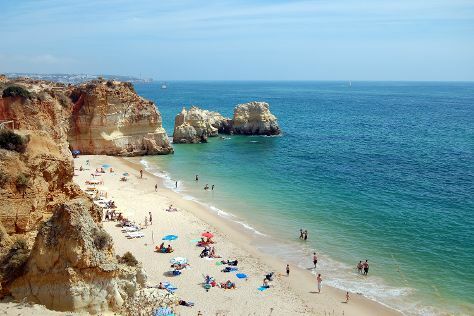 In September, daytime highs in Albufeira are 30°C, while nighttime lows are 21°C. Finish up your sightseeing early on the 26th (Wed) so you can travel to Rogil. On the 27th (Thu), enjoy the sand and surf at Praia Vale Dos Homens and then kick back and relax at Odeceixe Beach. On the next day, don't miss a visit to Cape Saint Vincent, steep yourself in history at Fortaleza de Sagres, then stroll through Praia da Luz, and finally step into the grandiose world of Castelo de Aljezur. To see photos, reviews, other places to visit, and other tourist information, read our Rogil road trip planning tool . Traveling by car from Albufeira to Rogil takes 1.5 hours. September in Rogil sees daily highs of 30°C and lows of 21°C at night. 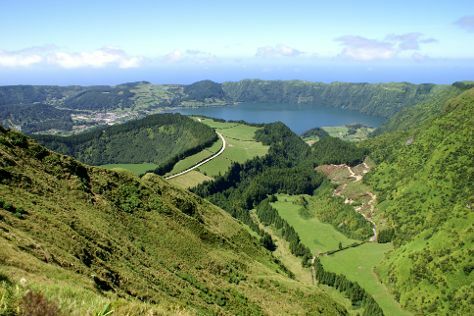 Finish up your sightseeing early on the 29th (Sat) so you can travel to Ponta Delgada. Kick off your visit on the 29th (Sat): take in the architecture and atmosphere at Igreja do Santo Cristo and then enjoy the sand and surf at Mosteiros Beach. For more things to do, ratings, reviews, and tourist information, go to the Ponta Delgada route builder tool . Explore your travel options from Rogil to Ponta Delgada with the Route module. Traveling from Rogil to Ponta Delgada, you'll gain 1 hour due to the time zone difference. Expect a daytime high around 28°C in September, and nighttime lows around 20°C. Wrap up your sightseeing on the 30th (Sun) to allow time to travel back home.